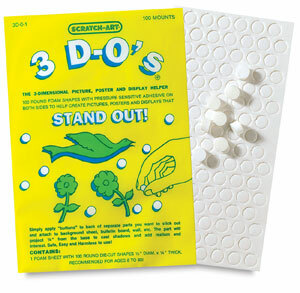 For making 3-dimensional displays and pictures. 3D-O's are foam circles with pressure-sensitive adhesive on both sides. Package contains 100 or 400 die-cut circles, 1/2" dia. and 1/4" thick.